After Kotor I didn't think anyplace could ever live up to it. 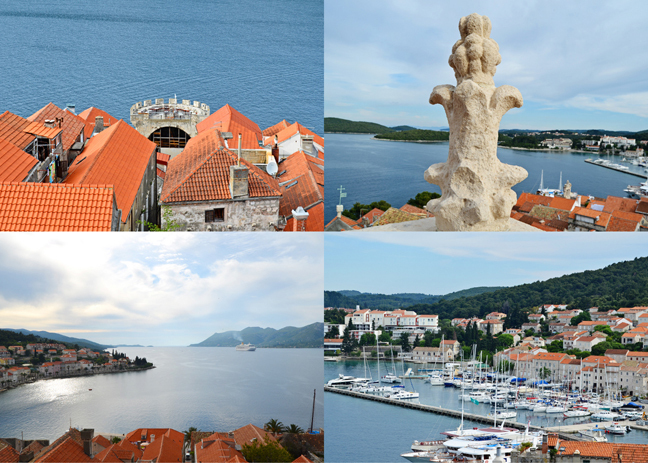 But Korčula and Ljubljana, our final two destinations, proved me wrong! 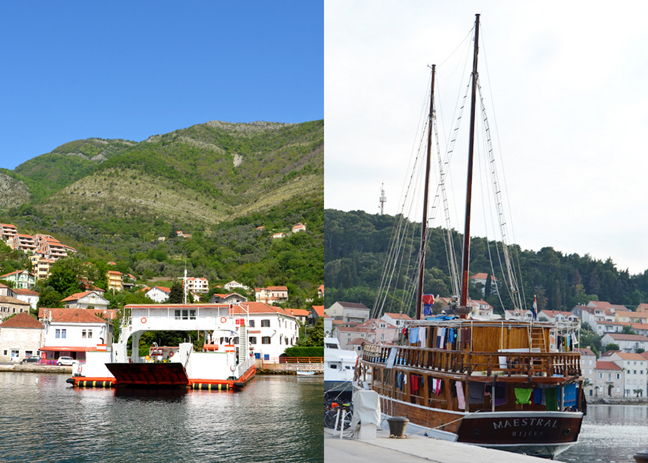 We packed up the car and instead of driving back around the Bay of Kotor we took the handy car ferry from Kamenari to the other side and trimmed off a half hour from our trek. We were literally the last car to pull onto the boat - talk about good timing! 5 minutes later we reached the other side. Quick. Easy. Fabulous. Done and done. Then we drove the crazy scary only-meant-for-one-single-go-cart-sized-car-roads (don't get me started on the roads on this trip, I'm just trying to forget about it! 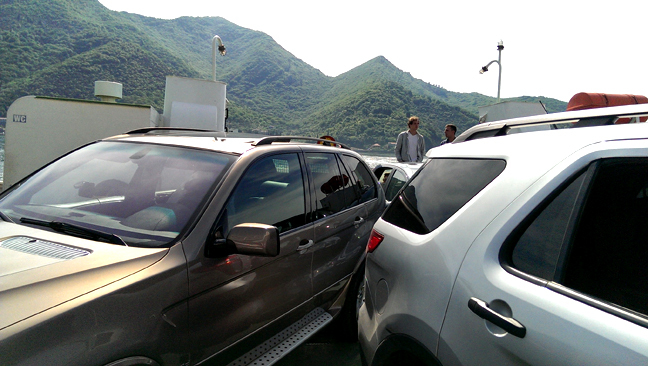 Our ginormous SUV is not meant for Europe...) to Orebić, Croatia and took another car ferry over to Korčula. Again we arrived just in time to catch the boat! Rubbing that lucky toe in Split totally worked! 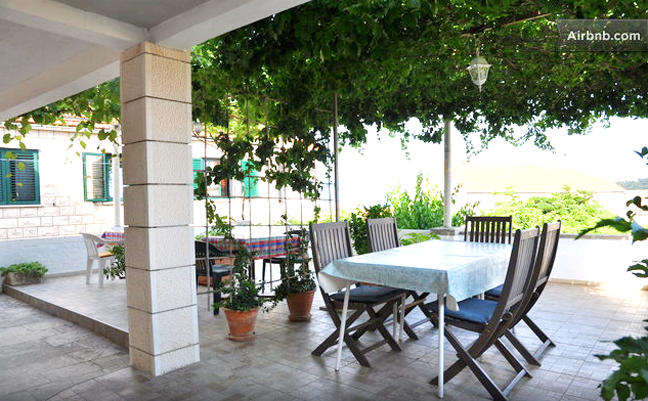 Pink chairs in an outdoor café in Orebić. | Chris and the kids sitting on the ferry. 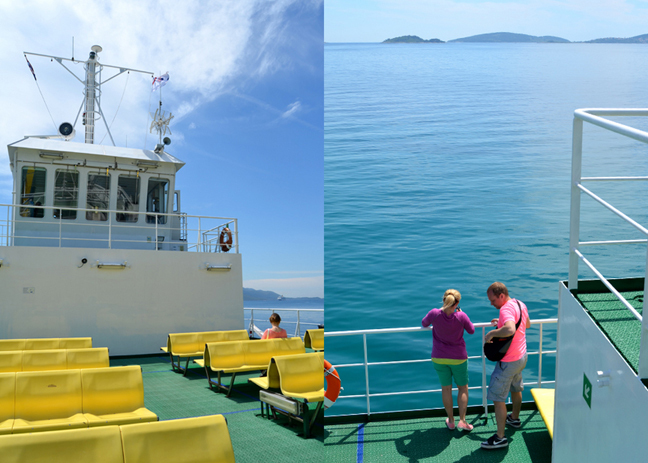 It was a beautiful day and the views of the sea and surrounding islands were oh so beautiful. This was our first time out to an island on this vacation, thus making it yet another unique adventure! Every place is was so different than the next or previous place! 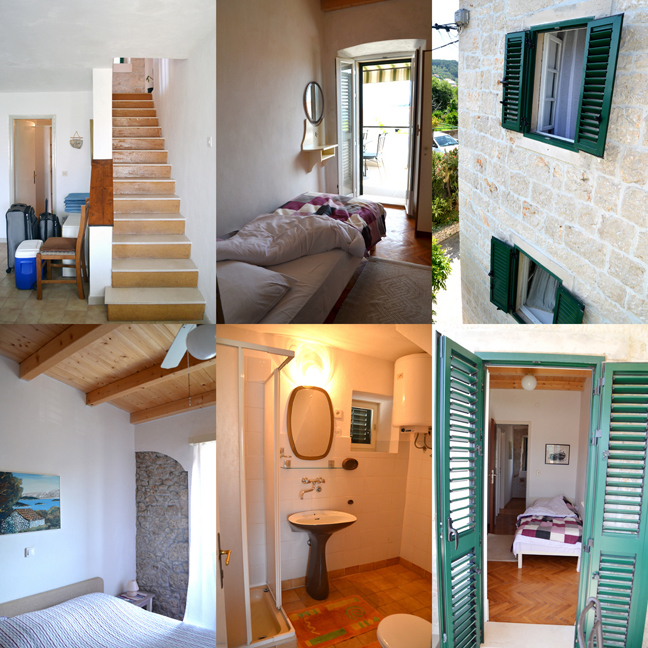 We arrived at Nada and Ivan's apartment in Lumbarda (just 10 minutes away from Korčula) that I found on airbnb. This place is so remote there isn't even an address to put into the GPS, we just had to go by Ivan's directions. We truly felt secluded and in our own little world. It was awesome. Like we owned the entire island! A porch and patio for resting. We sat for hours out here! Three bedrooms, two floors, a big open kitchen, free internet, parking, stellar views, and more, for just $134 a night. I think this was the most expensive place we stayed at but really with the size of our party, it's still a freaking good deal compared to hotels. The seclusiveness and the gorgeous location and amenities made it worth every penny. I HIGHLY recommend staying here. 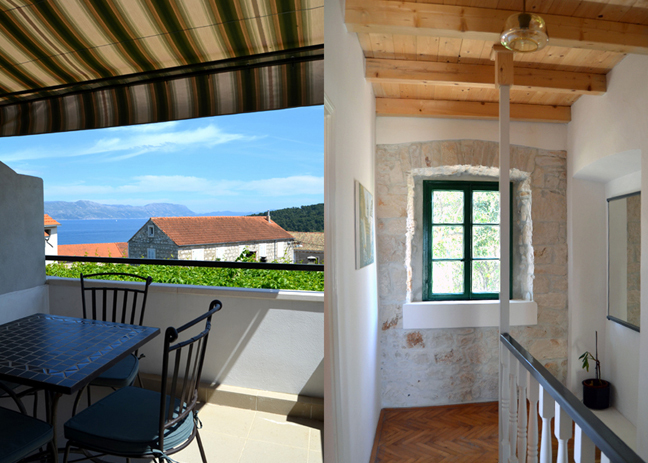 Like Kotor, the windows were open and it felt so open and fresh. Sigh. What a dream! View off the little balcony out to the sea. The balcony. | I love how it was old and new together. Some of the walls and parts were very old, but it looked as if it had been recently remodeled as was so very comfortable. 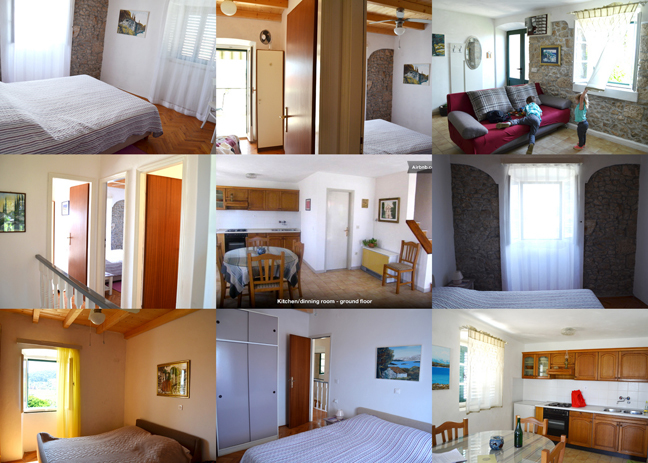 Snapshots of the apartment. Perfection. Couldn't have asked for more. The vine-covered parking space. Seriously, I want my future garage to look like this and have this view! The neighbors had a plethora of cats. Fox wasted no time getting acquainted with the furballs. 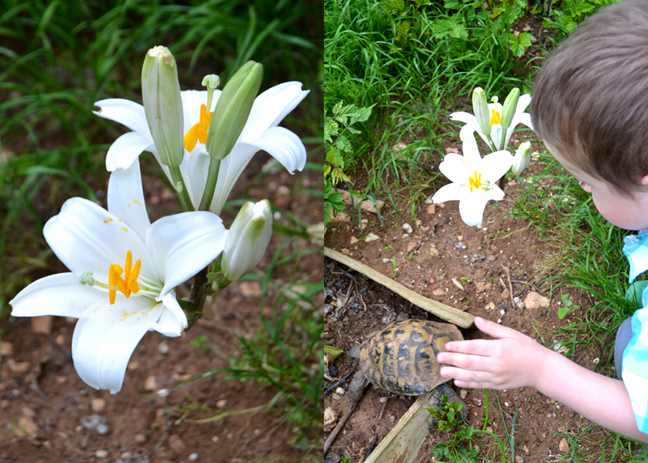 AND we found another turtle in the yard! What's with the turtles?! We put the kids down for a much needed nap while we relaxed out on the porch and caught up with correspondence/social media/REALITY :) (inside joke). 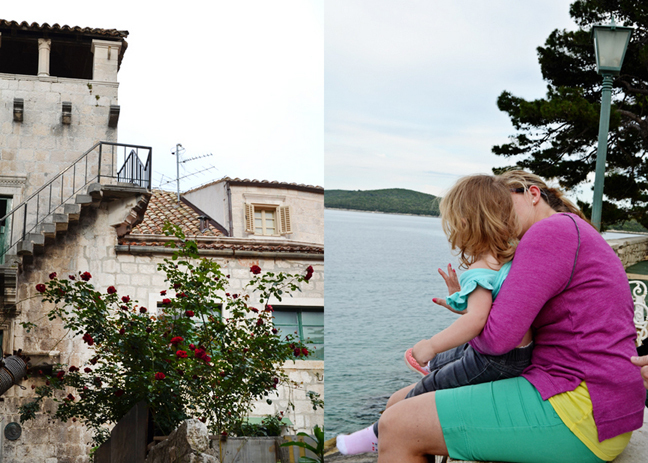 We had to wake the kids up at 4pm or else we wouldn't be able to do everything we wanted in Korčula. We drove the short way and got to see an amazing view of the entire town from up on the hill before we descended down into it. 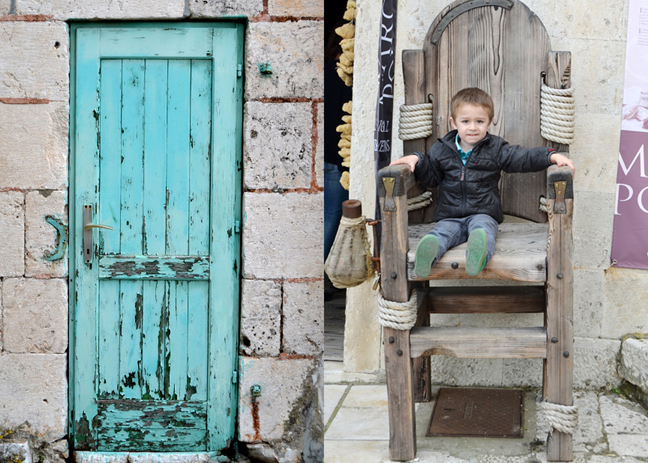 Like so many other small Croatian coastal towns, Korčula was founded by the ancient Greeks. It became part of the Roman Empire and was eventually a key southern outpost of the Venetian Republic. 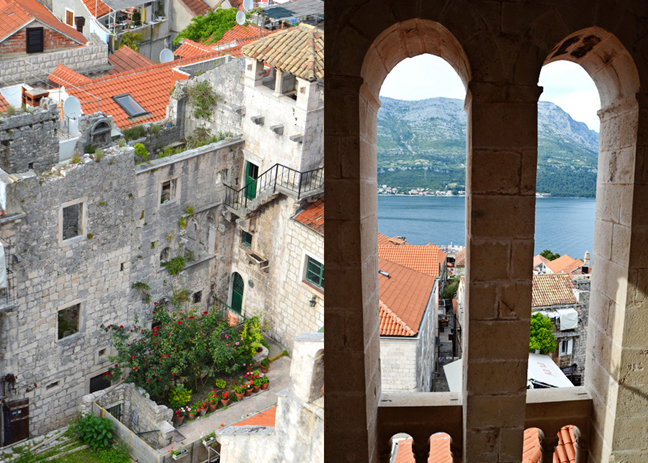 Four centuries of Venetian rule left Korčula with a quirky Gothic-Renaissance mix and a strong siesta tradition. 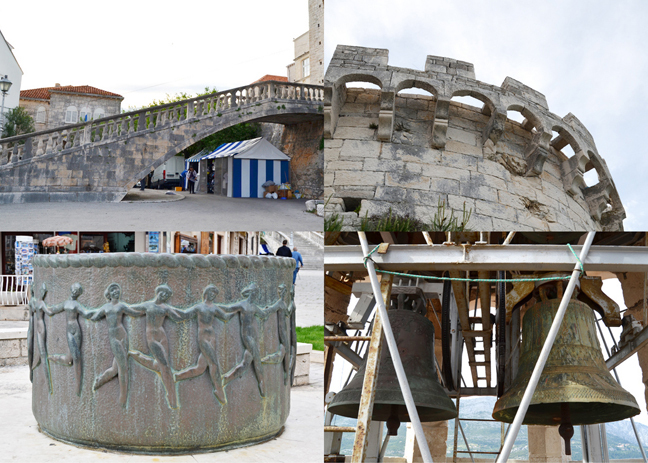 Korčulans take great pride in the fact that Marco Polo was born here in 1254 - the explorer remains the town's poster boy. Korčula is a mini Dubrovnik poking into the sea on a picture-perfect peninsula and surrounded by an almost complete town wall. Tiny lanes branch off the main drag like ribs on a fish's backbone. This street plan is designed to catch both the breeze and the shade. We parked the car outside the Old Town and headed in to see what we could see! We were immediately met by a Marco Polo gift shop. Though Polo sailed under the auspices of the Venetian Republic, and technically was a Venetian (since the Republic controlled this region) Korčulans proudly proclaim him as their own. Marco Polo was the first Westerner to sail to China, bringing back amazing stories and exotic goods (like silk) that Europeans had never seen before. After his trip Marco Polo fought in an important naval battle against the Genoese near Korčula. He was captured, taken to Genoa, and imprisoned. He told his story to a cellmate who wrote it down, published it, and made the explorer a world-class and much-in-demand celebrity. To this day kids in swimming pools around the world try to find him with their eyes closed. "MARCO!" "POLO!" This sign tells the story about how the word "million" was based on Marco Polo's middle name Emilio - because no existing word was superlative enough for his discoveries. 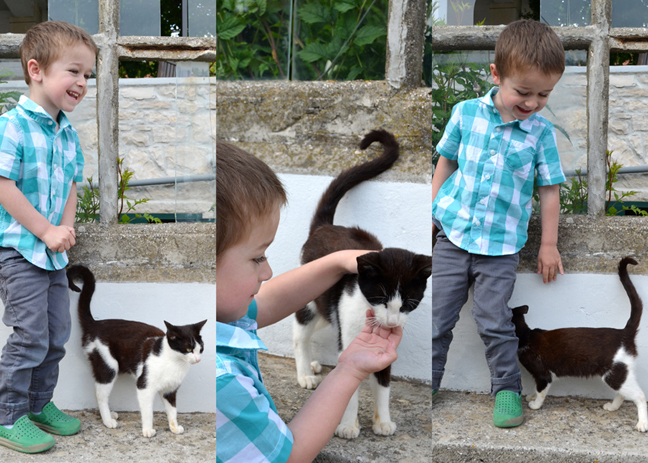 We got some magnets and then took pictures of Foxy in the big wooden chairs outside. Handsome feller. The Great Land Gate is a noble staircase leading up to the main entrance of the Old Town. 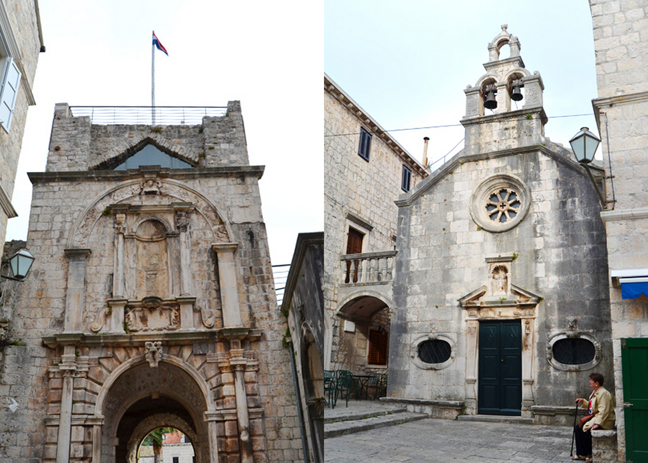 Like all of the town's towers it's adorned with the Venetian winged lion and the coats of arms of the doge of Venice (left) and the rector of Korčula (right). A nun walking through the Great Land Gate. | Take time to stop and snap the moss :) Through the gate, in the little square, on the left is the 16th-century Town Hall and Rector's Palace. 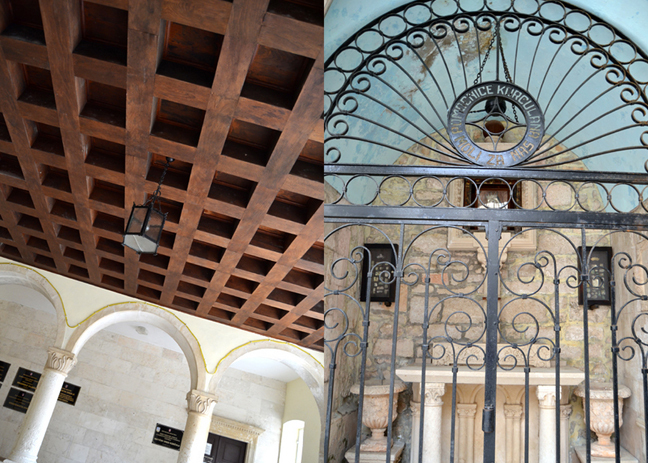 The color of blue inside the palace and the wood coffered ceilings were fantastic. The church on the other side of the square is dedicated to St. Michael. Throughout Croatia many towns have churches dedicated o St. Michael just inside the town gates as he is believed to offer saintly protection from enemies. 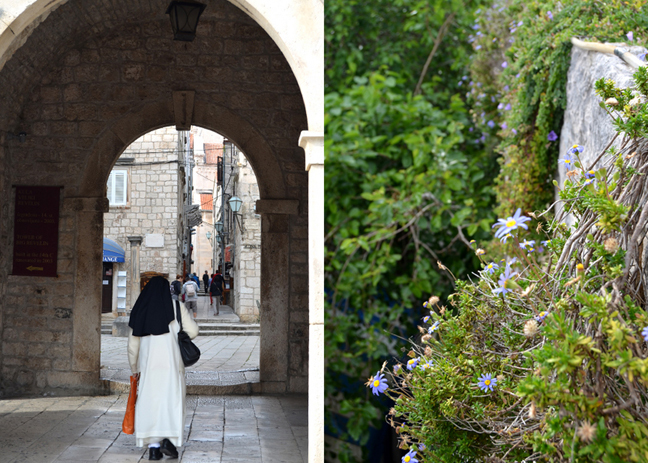 The passageway that connects the church to the building on the left is home to the Brotherhood of St. Michael, one of Korčula's many religious fraternal organizations. 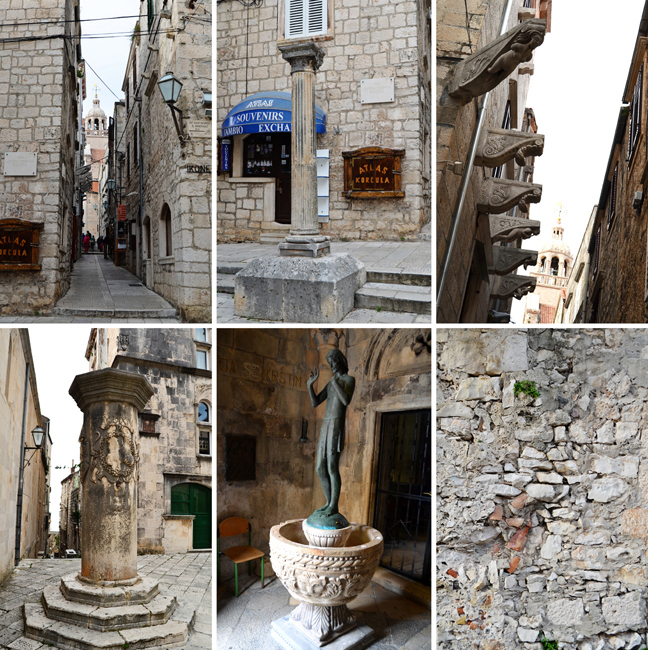 Then we walked down the Street of the Korčulan Statue of 1214. 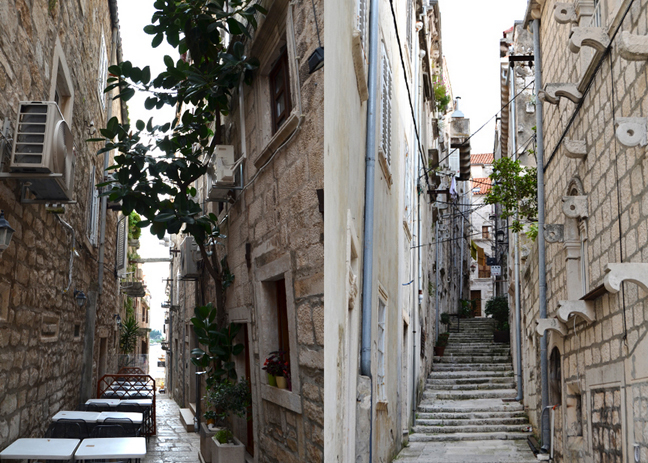 This street is Korčula's backbone, in more ways than one: while most medieval towns slowly evolved with twisty, mazelike lanes, Korčula was carefully planned to resemble a fish skeleton. The streets to the west (the left side of town) are straight to allow the refreshing northwesterly Maestral winds into town; you can see out to the sea. The east (right) lanes are curved to keep out the bad-vibe southeasterly Jugo winds and you can't see directly to the sea. The street's complicated name honors a 1214 statute - the oldest known written law in Central Europe - with regulations about everyday life and instructions on maintaining the city walls, protecting nature, keeping animals, building a house, and so on. As we walked down the street we looked up (top right picture below) and noticed some interesting decorations on the houses' upper floors. We walked to St. Mark's Square dominated by St. Mark's Cathedral. Korčula became a bishopric in the 14th century. In the 19th century - 36 bishops later - the Habsburgs decided to centralize ecclesiastical power in their empire and they removed Korčula's bishop. On the ornately decorated tympanum above the main door there's a Venetian statue of St. Mark flanked by interesting squatting statues of Adam and Eve... Pictures weren't allowed inside but I snuck one (naughty Paige!) of the original Tintoretto painting above the main altar. And you can't even really see it, haha. Serves me right I guess! We paid a few bucks to climb the tower. I'll do just about anything for a good view! Funnily enough though, I hate flying in airplanes... Climbing up and up and sneaking peeks! I could see a restaurant out on the northernmost tower and wanted to eat dinner there. Pretty pretty pretty. I spy Chris, Jay, Fox and Jane from atop the tower! | Cute kitty with a scarf! Like many places in Europe, there are churches practically on every corner. Pics from our walk: the staircase of the Great Land Lake. | Detail of the north tower. | A fountain in the front of town. | The bells in the tower we climbed. We walked to the north tower to see if we could eat dinner there because what a view and tale to tell! But sadly it was a bar. And we don't drink. Instead we walked along the wall a bit and Fox threw rocks in the water. 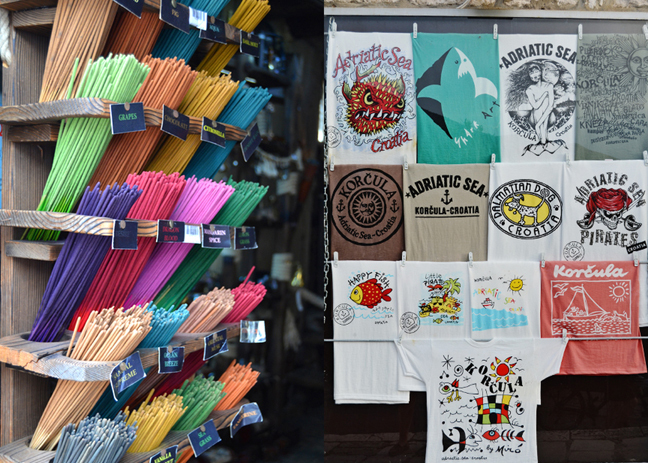 I loved all of the colorful bits and pieces throughout town like incense, rockin' t-shirts, knick knacks, and jewelry. For dinner we ate at the recommended Komin Restaurant. Delicious kebabs and scalloped potatoes. Perfection. 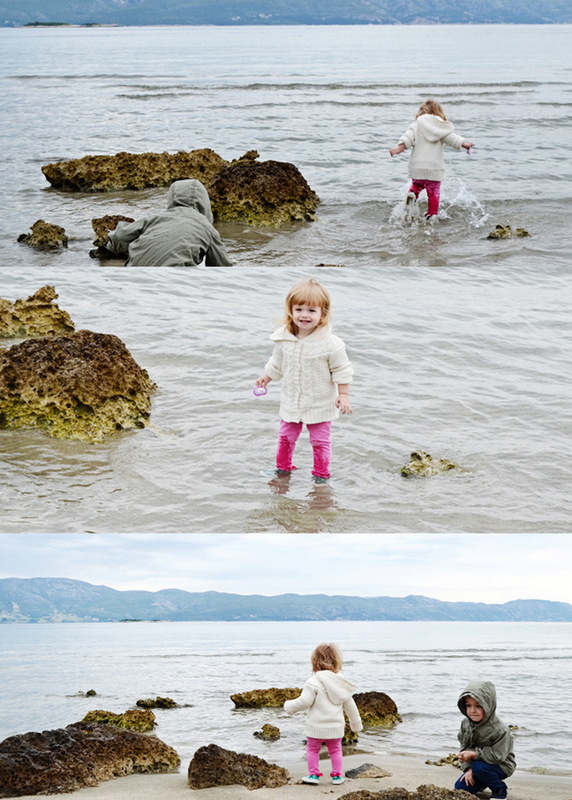 While dinner was cooking we took the kids down to the marina to, you guessed it, throw rocks in the water. 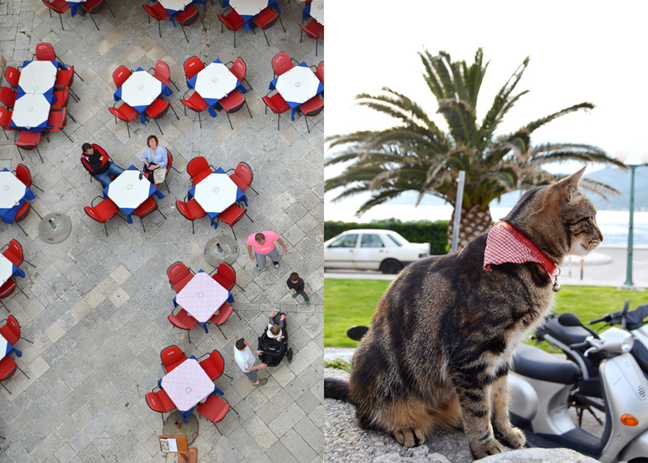 Welcome to Korčula Foxman! Love the color of the water in Croatia. The sun was quickly setting on our adventure in Korcčula. Pretty soon we walked back to the car around the east wall. More pretty flower shots along the way. 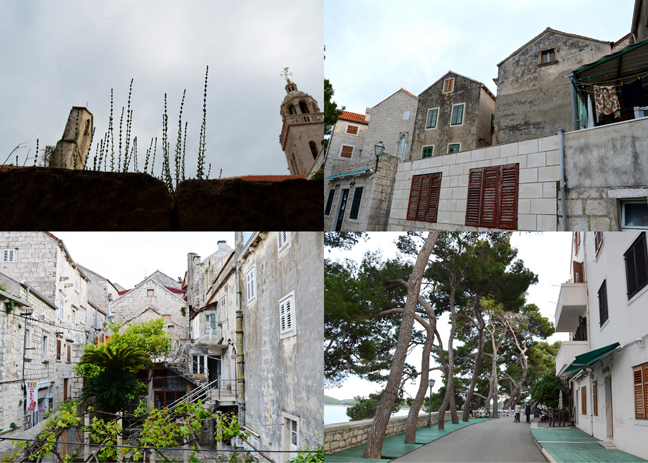 A final note about Korčula and the Old Town Walls - for several centuries Korčula held a crucial strategic position as one of the most important southern outposts of the Venetian Republic. The original town walls around Korčula date from at least the 13th century, but the fortifications were extended (and new towers built) over several centuries to defend against various foes of Venice - mostly Ottomans and pirates. 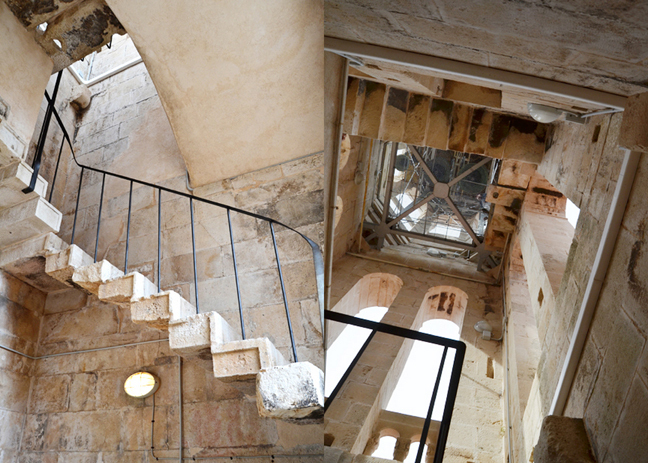 The most recent tower dates from the 16th century when the Ottomans attacked Korčula. The rector and other VIPs fled to the mainland but a brave priest remained on the island and came up with a plan. All of the women of Korčula dressed up as men and then everybody in town peeked over the wall - making the Ottomans think they were up against a huge army. The priest prayed for help and the strong northerly Bora winds blew. Not wanting to take their chances with the many defenders and the weather, the Ottomans sailed away and Korčula was saved. I hope the VIPs who ran away got their comeuppance... By the late 19th century Korčula was an unimportant Habsburg beach town and the walls had no strategic value. The town decided to quarry the top half of its old walls to build new homes and to improve air circulation inside the city. 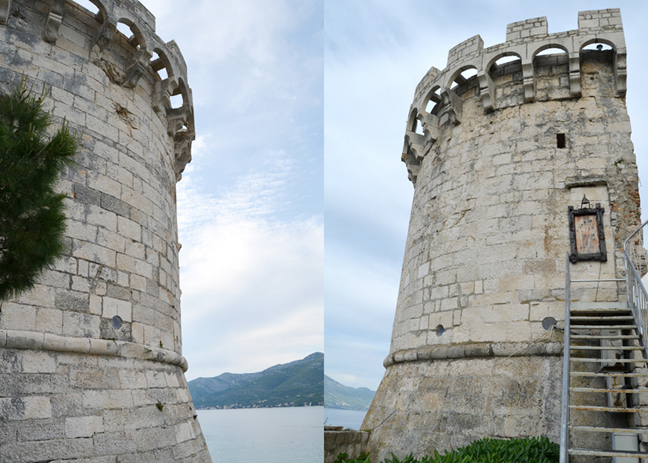 Though today's walls are half as high as they used to be, the town has restored many of the towers, giving Korčula its fortified feel. Bye bye Korčula! You're awesome! The next morning while Jay and Haylie were getting ready we walked with Fox and Jane down to the beach. We were the only ones outside, enjoying the views, and basking in the loveliness that is Lumbarda. Lumbarda is known for a special kind of wine I guess so these are all grape fields. We made it to the sandy beach. It was really cold out and we didn't want Jane to get sick so we walked back to the apartment a short while later. Our final destination: LJUBLJANA, SLOVENIA! Loved this post! 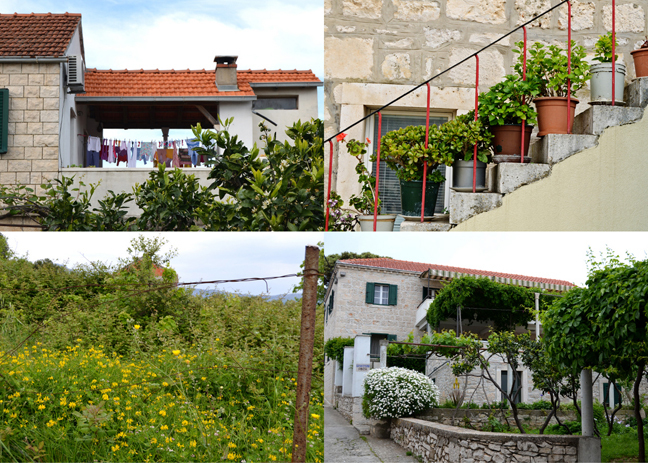 Korcula was another wonderful, relaxing location like Kotor. Marco Polo is a fave saying when me and the fams are scattered throughout a store! LOL!! One time at CHA -- I was trying to find my friend and I yelled Marco ... and Megan Hoeppner yells Polo back to me! HA!! LOVING the photos... looks like a great place to spend your anniversary!!!!! 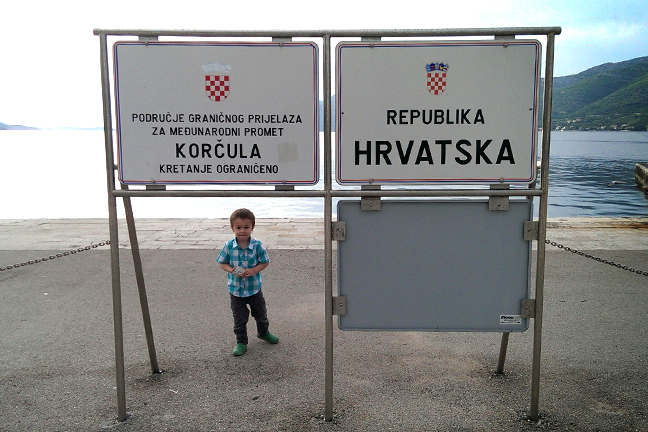 Thanks for sharing this part of Croatia! The photos are beautiful and the scenery are so lovely! You should dub this trip, The Tour of Throwing Rocks in the Water!! HA! :) And what a beautiful place to enjoy your anniversary!! REALITY!!! YES! I love the inside joke shout out. I love Chris too. Here's to 7 more.